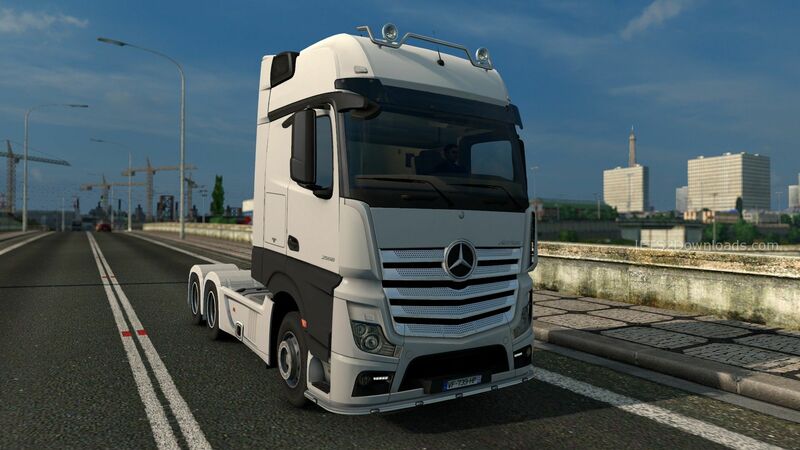 With the introduction of update 1.18 and also the introduction of the new Mercedes Benz Actros, we are going to see a lot more of this Mercedes-Benz Actros MPIV. With this truck, you get 6 cab’s, 8 chassis, 4 interior styles, 2 front grille’s “But I didn’t notice any change when changing from paint to chrome”, Several engine’s, bull bar’s as well as side skirts, and lot of lights. I really like this truck, even though I am not a big fan of the Mercedes, I have to say that this is a very nicely done truck. 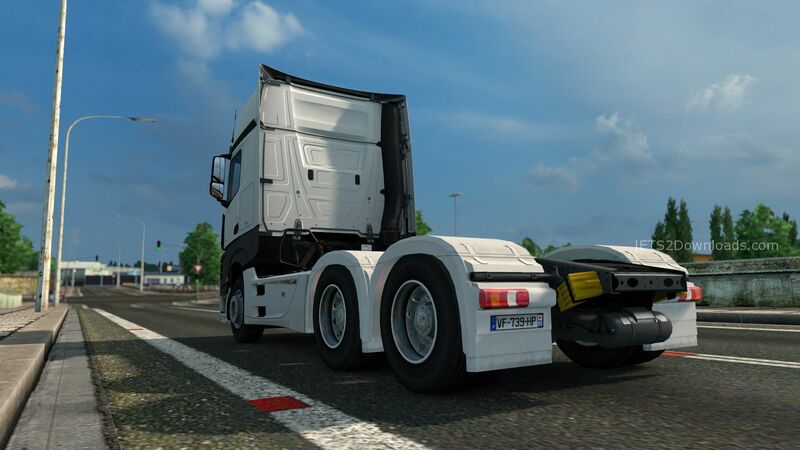 What I really like about this mod, is the lack of noise in the cab when I am driving down the road. I think this truck is going to be a game changer in the game and in real life. The only problem I had with this truck, was the lower front of the cab as well as the lower side of the cab, I was not able to paint it. I think having it only in flat black is not right. I want to be able to paint my truck. You only get a certain amount of paint with this truck, but as long as you have that flat black strip at the bottom of the cab, any paint you put on the truck is not going to look good. I hope this issue will be looked at on a future update. I will highly recommend this mod to any one that want to try it. Enjoy. 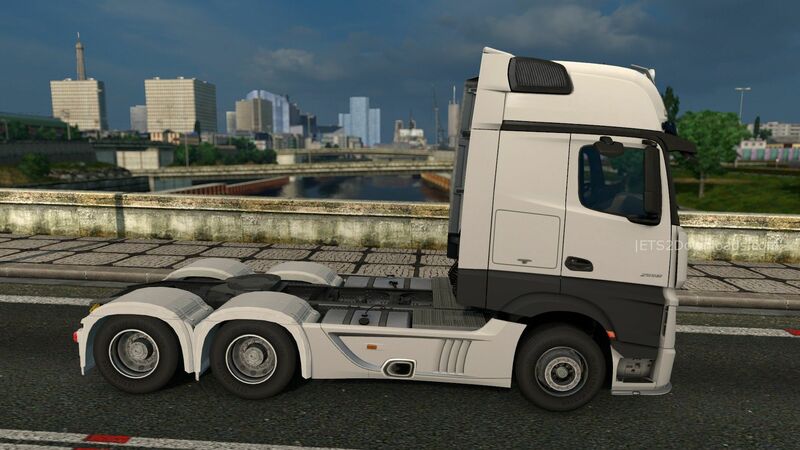 The template of this truck is also contained in the download file for all modders! i downloaded it it comes up in the mod list but the truck doesn’t appear in the game? 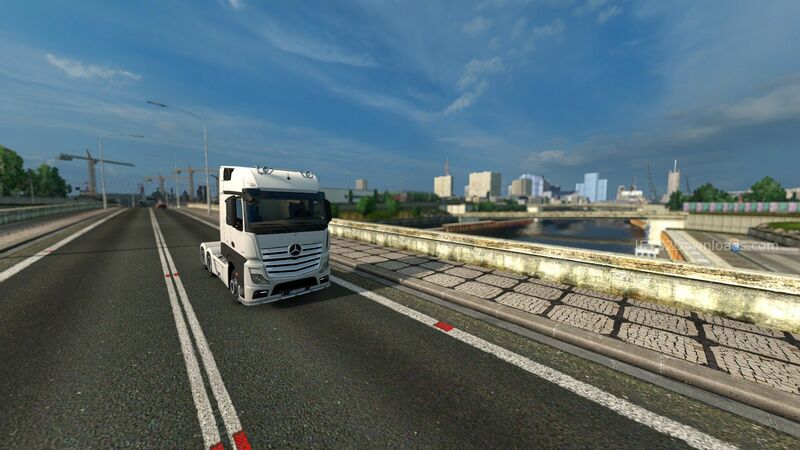 Its name is New Actros!